I come from a long line of activist rabbis who migrate across the world to where we are most needed. Born in France, I lived in many countries before settling in Michigan, where I ran Friendship House. Helping people recover from drug and alcohol addiction, I was frequently exposed to sudden, tragic deaths. Now that I am working for JHCN, I am grateful for the opportunity to offer support to those who still have time left in the last phases of life. I currently live in the downtown Detroit Chabad House. 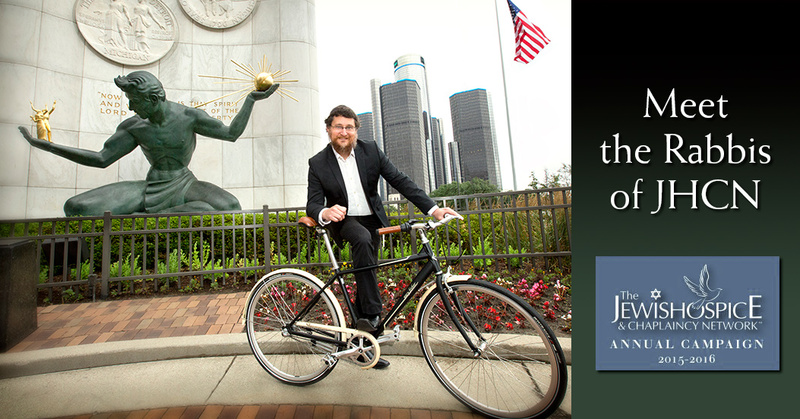 I visit Jewish patients at various hospitals in the city, and showcase Detroit as a welcoming place for Jews to work, live, play or get medical care. I am also the rabbi for Seasons Hospice, and spend time with patients all over the metropolitan area. The very best part of my job is connecting with someone who has lost touch with their Jewish roots and pulling them closer to Jewish life. Often, this meaningful closure happens at the very end of a life, and is dramatic and emotional for the patient, their family, and also for me. 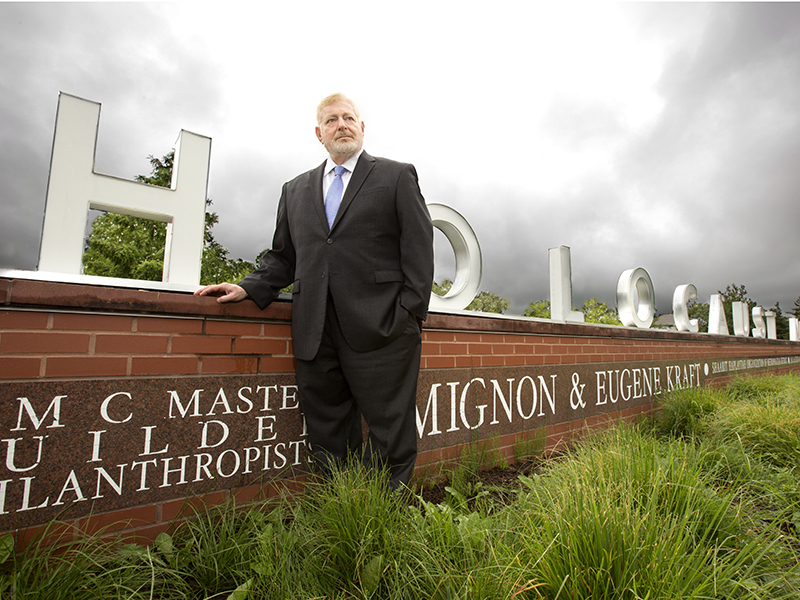 It is in my DNA to go where I am needed, and my work in Michigan certainly fits the bill. Growing up in my house in Philadelphia, my mother would say in Yiddish “You are born to be lost,” meaning once you are born you begin a journey to die. In my household, dying wasn’t something to fear. My mother sewed the shrouds we’d be buried in, and they were hung in the closet until the day they were needed. Dying is something we spent a lifetime preparing for. I wasn’t there at the end when my mother, my father, or my brother died. Maybe that’s why it’s so important for me to do this work for JHCN, to be there for others when their loved one is dying.­­­­­­­ I went to visit a little old lady the other day who was sitting in bed, medicated, her eyes shut tight. She was not responsive. I told her she looked cute today and she opened her eyes a little. I asked if she wanted me to say a prayer. She said no. So I started singing “You Are My Sunshine.” Her eyes got big and she broke into a smile. That’s what she needed. It’s those little moments that may seem insignificant, but it’s what she needed that day. I’ve gained a lot of wisdom in eight decades. It begins with listening, then offering advice, saying a prayer, or acting to help a dying person or their family find peace and comfort on their terms. I’ve been a pulpit rabbi at Beth Abraham Hillel Moses; a chaplain in the Korean war; worked to plant the seeds for Second Harvest food pantry; helped ensure Jewish patients in a psych hospital received a Jewish service. What I know is this: we are all G-d’s people and we need to spend our time helping the old, the sick and the dying. Rabbi Shapiro visiting a patient at the Marvin & Betty Danto Family Health Care Center in West Bloomfield. I have been visiting hospice patients for 26 years, but in many ways I have prepared for this work for a lifetime. 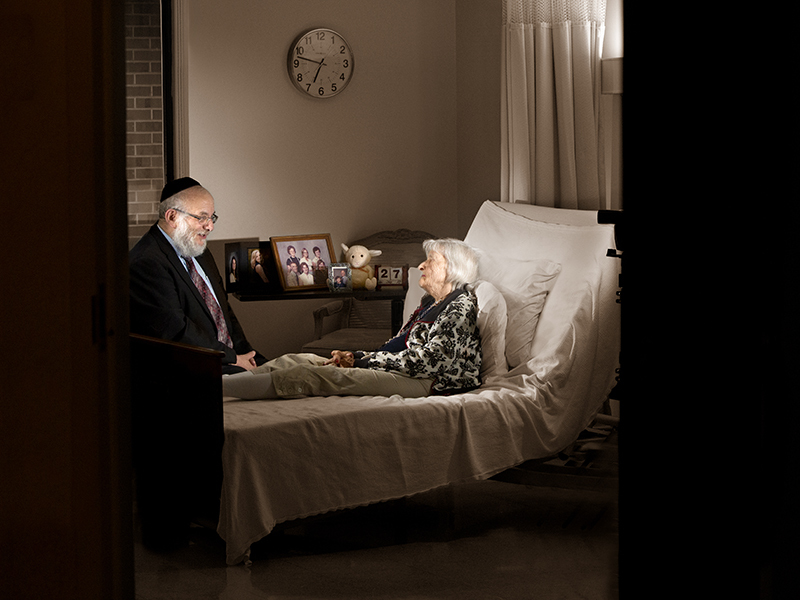 My father, an orthodox rabbi, made visiting nursing homes and hospitals a part of his daily routine. 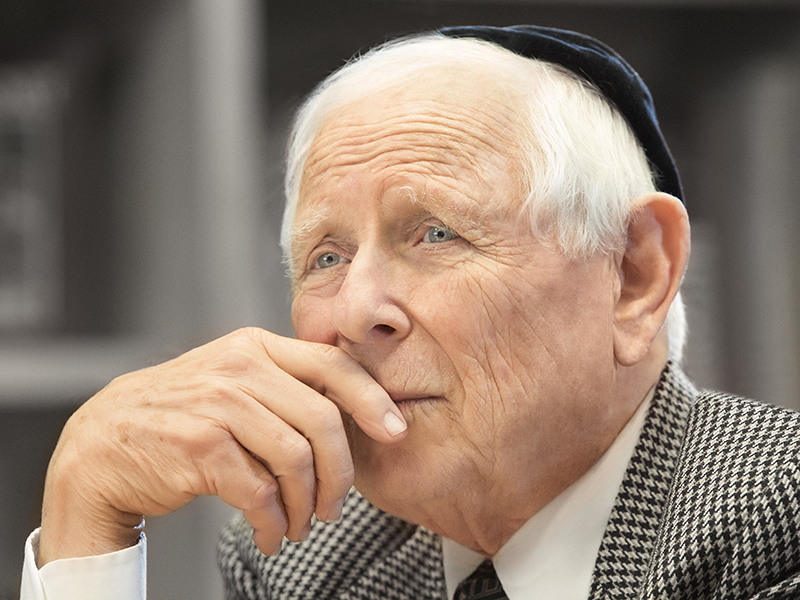 He often took my brother and me to shivah houses for evening services, where, at a young age, I became sensitive to the emotional pain of others’ grief. When I became a rabbi, I realized that many of my peers shied away from visiting the sick, attending funerals or making shivah visits. For me, however, it was second nature. Working with the elderly and hospice patients is very much a part of who I am. I have developed deep friendships with many patients and their families. Many have become extensions of my own family. When a patient dies, it often feels to me like the loss of a family member. My friendships with their survivors frequently continues for years to come. The names of the people I have had the honor to visit, carry significant reminders of a relationship treasured, enjoyed, then lost but never forgotten. Rabbi Jennifer Kaluzny serves as a pulpit rabbi at Temple Israel in West Bloomfield. Here she shares time on the trail with her children. I once had a teacher who taught us we should go through life as though we are amateur anthropologists. He implored us to study our surroundings, to ask questions, to attempt to fit into whatever culture we found ourselves in: be it geographical, familial, or congregational. His advice serves me well. Yes, I am a rabbi, and a chaplain. But most of all, I am an anthropologist. In the work I do every day, I collect people’s stories and honor their memories. I learn what gives comfort, what heals, and what makes a difference in the life of a dying person and their family. I glean sacred knowledge from each person and each family I serve. Perhaps without realizing it, they in turn, teach me. I hope I can also teach my children to be amateur anthropologists to complement whatever paths they choose. If they truly listen to the experiences of others, their lives will be richer in color and saturated with meaning. JHCN has been my greatest classroom. I do this work because I love the people I meet, and their stories, and I feel honored to hear every single one. I am often asked how I can deal with being around death and dying every day. The answer is, this is the most rewarding work I have ever been privileged to be part of. When families invite me into their homes to make beside visits, I know I am entering their most sacred space. The trust and honor imparted to me is immeasurable. The reason I get out of bed each day is to make sure no Jew faces the end of life alone. My personal commitment to this cause begins with patients, extends to their families, and grows to include building bridges with donors, volunteers, staff, board members, partner agencies, and medical professionals. This work can be quite demanding, and there are three constants essential to maintaining my mental and physical fitness: the love I give to and receive from my family, regular, rigorous exercise and vigorous daily Torah study. I owe it to myself and those who count on me – our patients, their families, and my team — to be physically, mentally and spiritually prepared for this work. 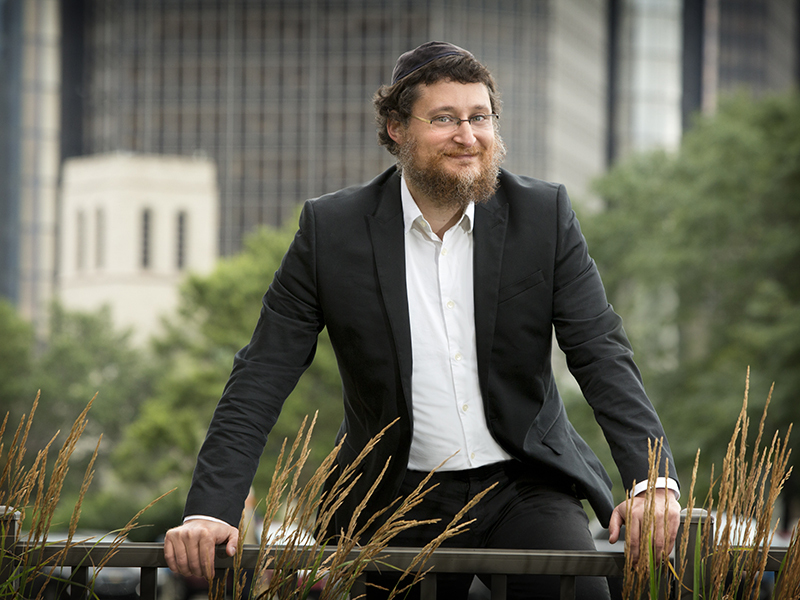 Rabbi Krakoff joined the JHCN team in August 2014. 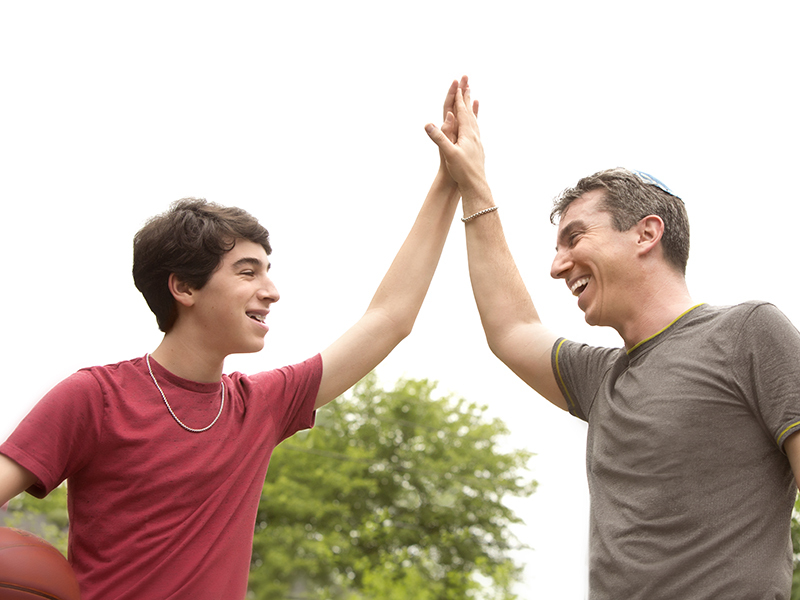 Jewish tradition understands the family as the central unit and influence in life. There is nothing more important and special to me than my family. I look forward to spending time with my wife and three children whenever possible. Perhaps it is because family means so much to me that working with JHCN feels as if I have become part of a larger family on two levels. First, in fulfilling the sacred responsibility of being with individuals and their loved ones at the end of life, I am so often welcomed in as a trusted extended member of their family which I take seriously and never for granted. So too, since joining the JHCN team just one year ago, I have discovered that this special group of kind, loving individuals operates like a family of caregivers and advisors each and every day, and it is evident to all how deeply they all care about not only their patients, but also for one another. JHCN gives me the opportunity to celebrate family in so many ways and for that I will be forever grateful. 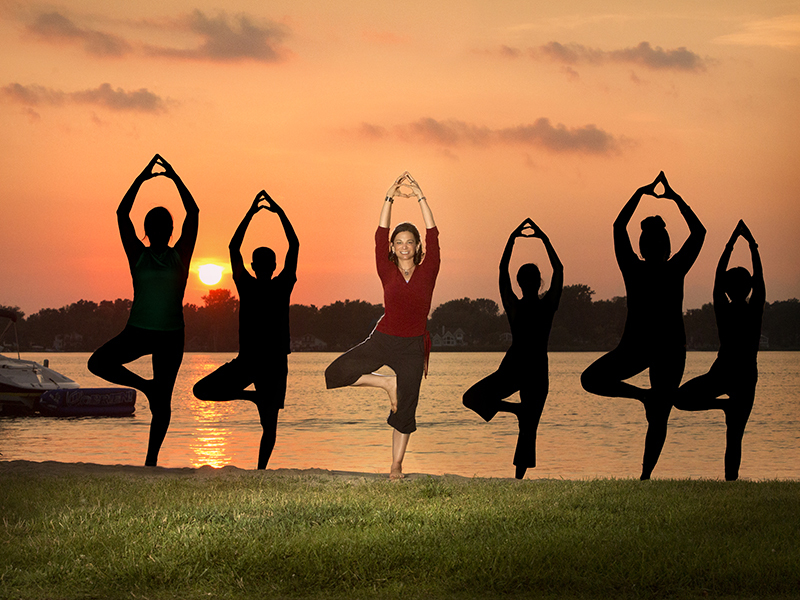 Rabbi Shere leads Soulful Yoga classes for Adat Shalom members where she also serves as a pulpit rabbi. When physicians tell a family “there is nothing more that can be done for your loved one,” they are speaking from a limited perspective. Even when a person’s life is coming to a close, there is often much to do. Individuals and families do some of their most meaningful growing and loving during this period. Hospice work, to me, is about shepherding the soul from this world to the next — peacefully, comfortably and with love. One of my favorite Jewish prayers is “Tefillat Haderech,” commonly known as “The Traveler’s Prayer.” It is typically recited before embarking on a journey. When I sit at the bedside of a hospice patient, we recite this prayer then talk about the journey their soul will soon be making. I see death not as an end, but as a transition from this world to the next. I feel blessed through my work with JHCN to guide people embarking upon this most profound journey and to have had the opportunity to be there at the incredibly holy moment when the soul, which has spent years tethered to the body, is called home. I am grateful to be a part of this sacred work. Rabbi David Nelson is a former rabbi at Congregation Beth Shalom. 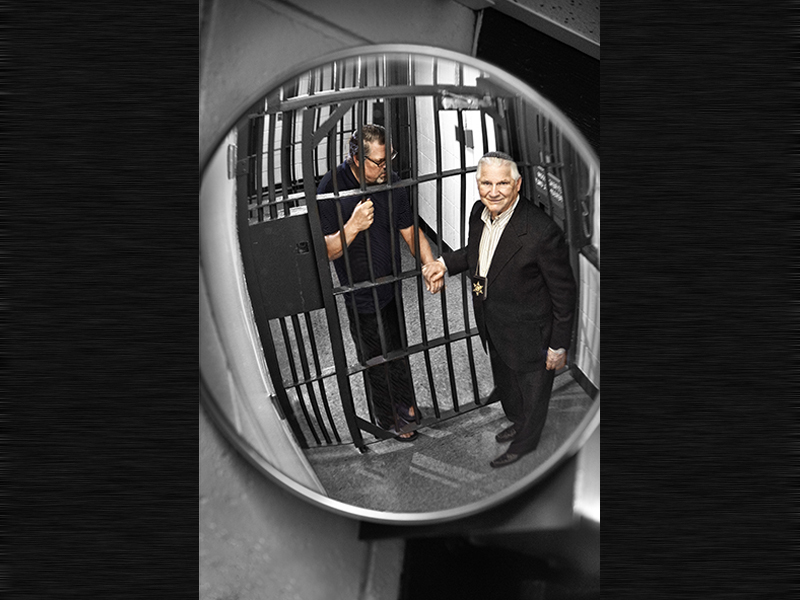 Here he offers counsel at the Oakland County Jail. Celebrating in moments of joy is easy. Supporting those in anguish or desperation requires reaching into the innermost part of one’s being to find compassion and understanding. 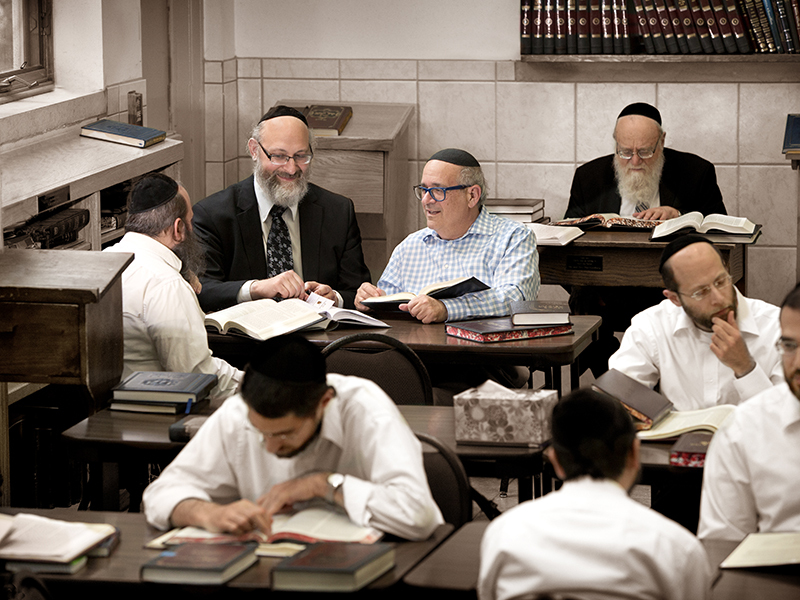 It is this challenge that attracted me to the rabbinate, to chaplaincy and to prison work. My work also includes supporting hospice clients and families for JHCN, making hospital visits, and police-related chaplaincy. I recently entered a hospital room at Beaumont and sensed the woman I had come to visit wanted to talk. I asked if there was anything she wanted to discuss. I listened as she told her life story, at times with tears. The next day I received a call from the funeral home letting me know she had died that night. I was shocked. She had been doing well and was not in critical condition. I was grateful that I had been able to be present for her on that last day. Connecting with people in despair and enabling them to share an untold story can be a powerful healing opportunity. I have been blessed to have participated in many of these moments during my nearly fifty years in the rabbinate. Everyone has a story to tell but they don’t always have someone with whom to share it. Whether in a prison setting, a hospital room, a home, or at the cemetery with a family, these are sacred moments. I want to be there to hear that story. Stanley plays the piano at the Marvin & Betty Danto Family Health Care Center in West Bloomfield. 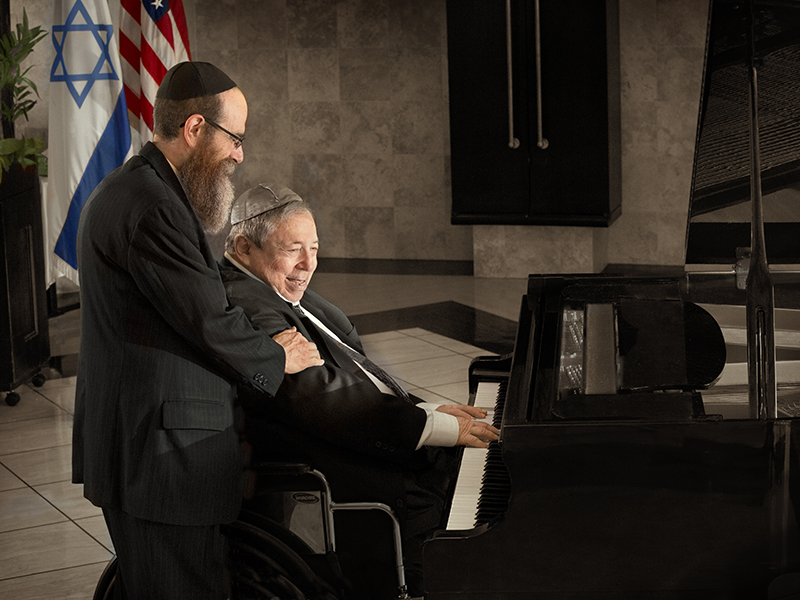 Finding Music In A Jewish Soul — I want Stanley, and others like him, to feel embraced and cared for by their extended Jewish family. There are many in our community who have no one. Stanley, who lives in the Marvin and Betty Danto Health Care Center in West Bloomfield, has few visitors and no living relatives. But Stanley should be valued, for he has gifts and talents that G-d wants to see and hear. I respect and embrace each person I meet, trying to understand them on their terms, and become a part of their journey. I hope to bring expression, meaning and happiness to their lives. I consider it my G-d given mission to make the world a brighter place, with one opportune moment, one interaction, one conversation, one person at a time. My affiliation with The Jewish Hospice & Chaplaincy Network helps me complete that mission. Rabbi Klainberg at the Holocaust Memorial Center Zekelman Campus in Farmington Hills. I was born in a Displaced Persons Camp in Germany, the only child of Holocaust survivors. While I provide care and comfort to any hospice patient, there is a special place in my heart for Shoah survivors and their families. Each survivor represents their departed loved ones, and a stolen world and way of life. My ability to speak Yiddish and to connect with the hearts and souls of our remaining survivors allows me entrée into their homes at the end of their precious lives. With each patient and family, I hope to ease some of their fears, and to help give them the closure and peace they deserve. Each of them lost many family members in the Shoah, to tragic, horrible deaths. If I can make a difference at the end, even for one person, my work has been valuable and meaningful. I know my parents, may they rest in peace, would be proud. 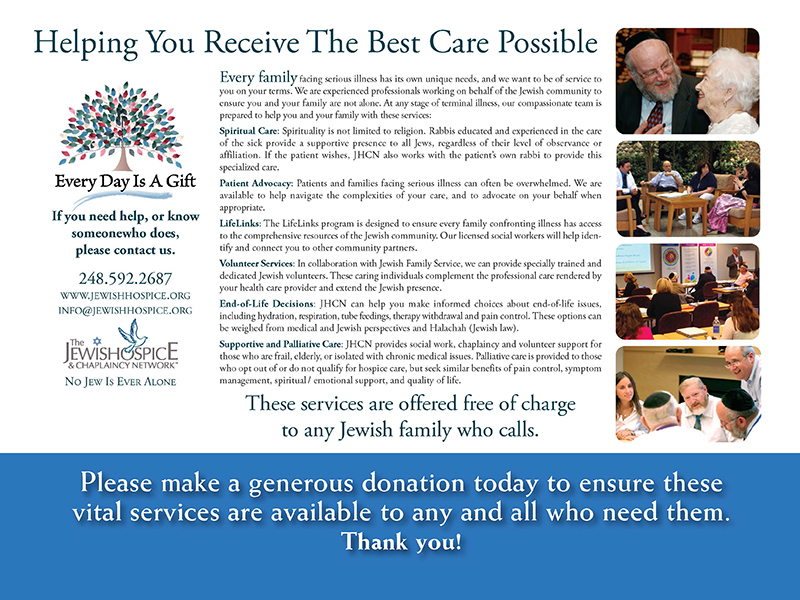 The Jewish Hospice & Chaplaincy Network provides services to more than 500 patients and thousands of their family members throughout the year. 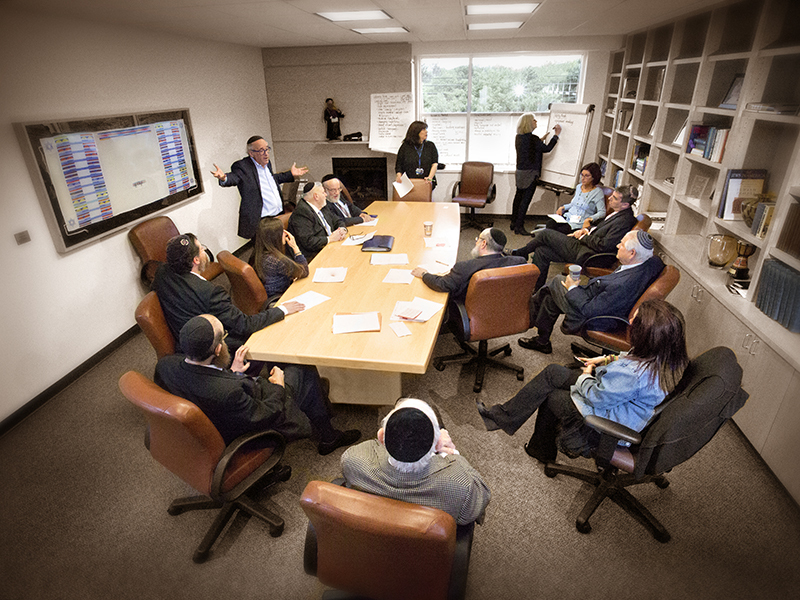 Our rabbis, patient care team and administrative staff meet weekly to review each client’s care plan, learn about regulations, and share experiences and best practices. We offer our services and expertise wherever a Jewish person with a terminal diagnosis calls home — a private residence, nursing home, elder care facility, assisted living center or hospital. JHCN offers spiritual care, coordination of social services, and advocacy or advice to patients and families. The agency never receives insurance reimbursement or fees from government agencies. Our funding, used to support these most vulnerable patients and families, comes from generous donors like you. This “goodwill” model allows us to provide services without fees, eliminating the financial burden to families and patients.